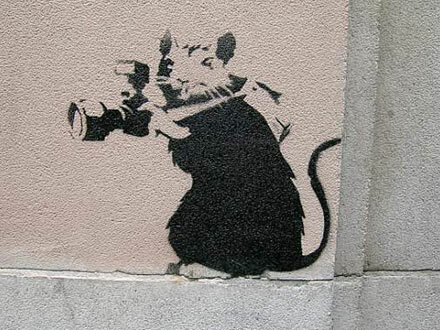 What Does Banksy Have Planned for the Oscars? The academy is famous for been old-fashioned, stuffy and set in their ways but now they have invited a prankster and practical joker into their inner sanctum by nominating him for an Oscar. The best thing about it is that the man in question Banksy may just have done it with a film that is itself a hoax and his biggest prank to date. For those who haven’t seen Exit Through The Gift Shop read THIS. The big question is will he be invited to join the academy, he is certainly eligible. The official academy website says “Individuals nominated for an Academy Award® who are not already members will be considered for membership”. I somehow don’t think Banksy will be invited to join their little club! Don’t expect to see him at the ceremony either, even if he wins. As to what he is planning we will have to wait and see. The usual thing to do if you can’t make it to the ceremony is to send someone else in your place, the obvious choices would be the narrated by Rhys Ifans, the “star” Thierry Guetta or one of the producers. 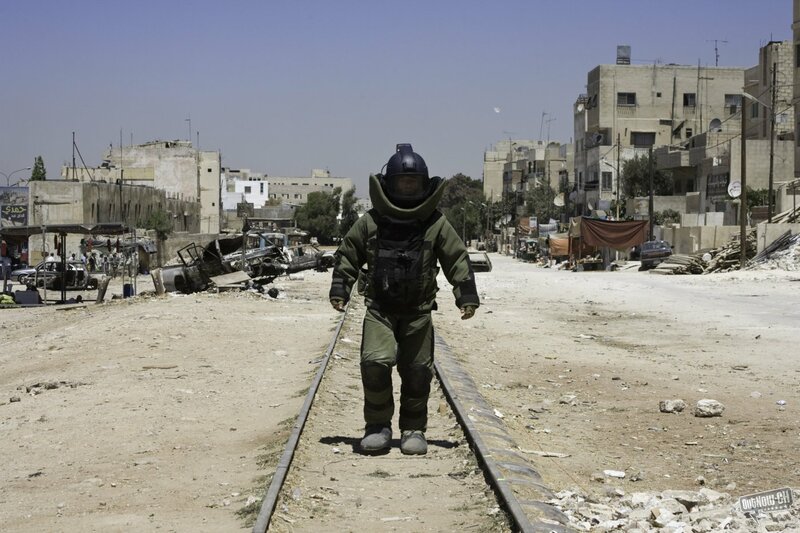 The other option is a video link with Banksy’s identity disguised the way it was in the film. This itself would lead to the question of if the person on screen is who he appears to be. This article from Entertainment Weekly suggests we may have something to look forward to “Banksy, in fact, has already been warming up for Oscar night. 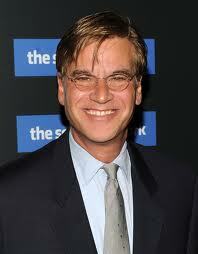 It’s rumored that he is presently in Los Angeles”. One way or another I for one hope that Banksy takes the opportunity for one of his infamous stunts. An Oscar statute with a trademark monkey head or a red carpet decorated with his other trademark a rat, would be perfect as would. The other option is the simplist and most radicle, for him not to turn up, not to send a representative and completely snub the Oscars. As Hollywood is on Banksy alert, it is the last thing anyone is expecting and the anticlimax will be far worse for the academy than any Banksy prank. 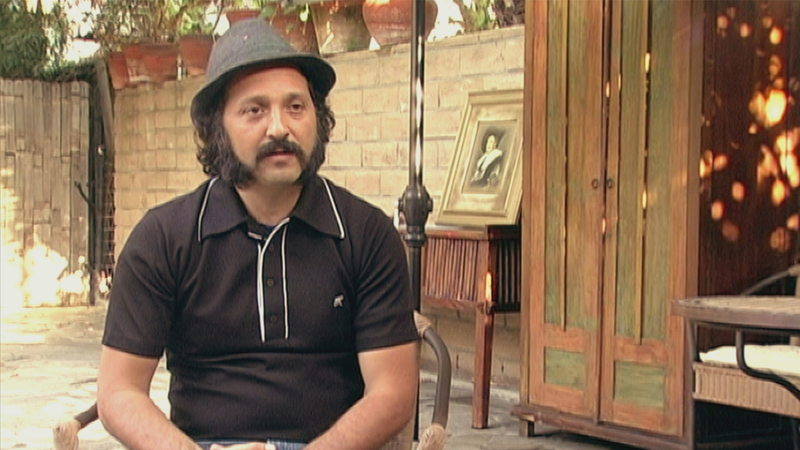 Whatever happens Best Documentary Feature category will be a little more interesting than usual! What’s the point of the Oscars? The Metro-Goldwyn-Mayer logo features the slogan “Ars gratia artis” it is a Latin version of the 19th century French slogan ‘l’art pour l’art’ or Art for art’s sake. With this in mind it is interesting that Louis B. Mayer was the person most responsible for the formation of Academy of Motion Picture Arts and Sciences. Mayer’s vision was more like a trade union whose primary function would be to mediate labour disputes and promote the movie industry. Within a year of the founding of the academy what we now know as the Oscars were devised. With all this in mind I can’t help wondering what point of the Oscars is. Would the movie industry be any different without them or other awards? On the whole I would have to say no. As a football fan (that’s soccer to the American readers) I understand the need for competition, without competition sport would be far less compelling or entreating but movies are very different, they are to take things back to the top essentially art. Does art really need to be quantified in this way? True there are many art related awards these days such as The Turner Prize and the music industry has as many awards as the movie industry but they all serve as little purpose as the Oscars. As a blogger the Oscars are a goldmine of material for debate but there really has to be more point to justify their existence than a chance to bemoan their poor selections. There is always the notion of self publicity, but what I don’t buy that either. By the time the awards come around most nominated films have long since finished their theatrical run. Although it doesn’t harm the winners you don’t exactly see many people building their careers awards success. So this brings us to the real point of the Oscars and any other awards , they are a way for an industry to slap itself on the back and feel good about itself. My thoughts are probably not unique or original but one thing is certain they Hollywood and the Oscars won’t change. So next Sunday as The King’s Speech is taking the best picture award that should belong to Inception and Natalie Portman beats Jennifer Lawrence I can happily sit back knowing it all really doesn’t matter. Fandango Groovers is two years old today. When I started the blog back in 2009 I had no idea what I was doing or had any plan for where it was going. When I got to ten thousand hits after around three months I was amazed that people were actually reading my ramblings, somehow I am now around a month away from a million hits, how did that happen? I have been trying to think of a way of marking the occasion and decided to list my top ten movies that have been released (UK release) since I started the blog. I just took part in the IMDB Oscar Poll, the results so far make interesting reading. Firstly who else has voted? To take the trouble to do the poll suggests participants are movie fans so I would suggest they have probably seen a lot of the films. On top of that they would probably have been influenced by the recend Golden Globes and BAFTA’s. So what are people voting for? 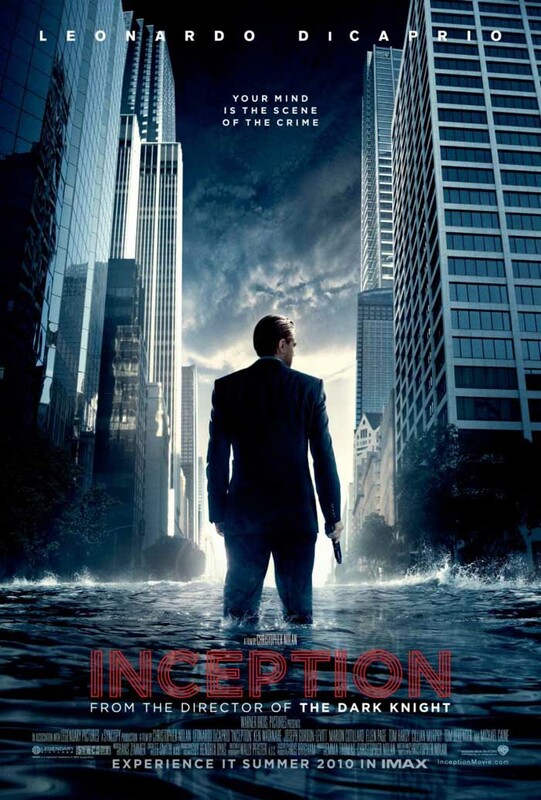 Best Picture: Inception currently has more than 40% of the vote, more than double, The King’s Speech in second place. 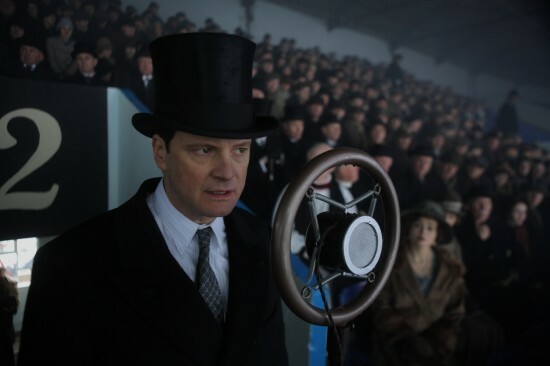 Best Actor: Colin Firth is the runaway leader for The King’s Speech, no surprise there. 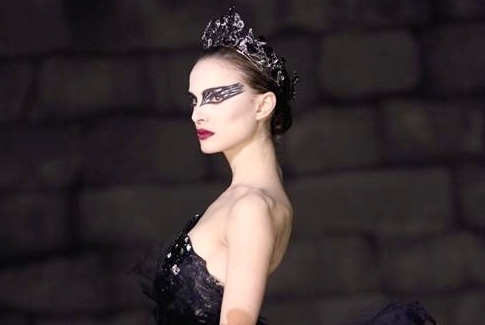 Best Actress: Fresh from her BAFA win Natalie Portman for Black Swan has 85.0% of the vote. Best Supporting Actor: Despite Geoffrey Rush’s BAFTA success Christian Bale is leading this poll. Best Supporting Actress: Much closer than the other categories, it looks like a three way fight between Helena Bonham Carter, Hailee Steinfeld and Melissa Leo. Amy Adams isn’t that far behind but Jacki Weaver is unsurprisingly way of the pace, Animal Kingdom being one of the least seen nominated movies (it isn’t even out in the UK yet). Best Director: David Fincher is just pulling away from Darren Aronofsky, these are probablt the two most deserving in of the Oscar. 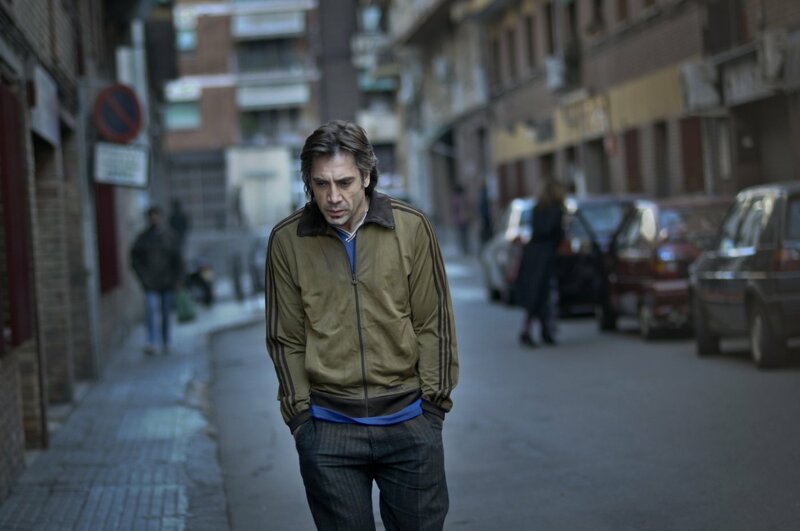 Best Foreign Language Film: Biutiful (Mexico) is way ahead with 60% of the vote. 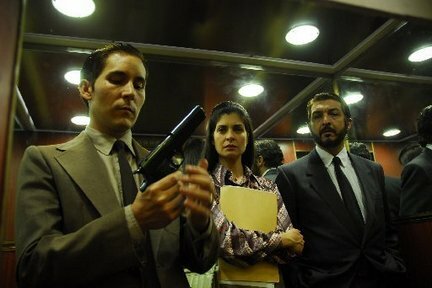 The obvious reason for this would be the love for Javier Bardem, however Bardem is bottom of the poll for best actor. Chances are most people who vote probably haven’t seen many of the movies they are voting for. Because of the unique way this category is voted for all the people who vote in the Oscars will have seen all five movies. Best Adapted Screenplay: I can’t see anyone other than Aaron Sorkin winning this, the other voters seem to feel the same way, lets hope the academy do too. 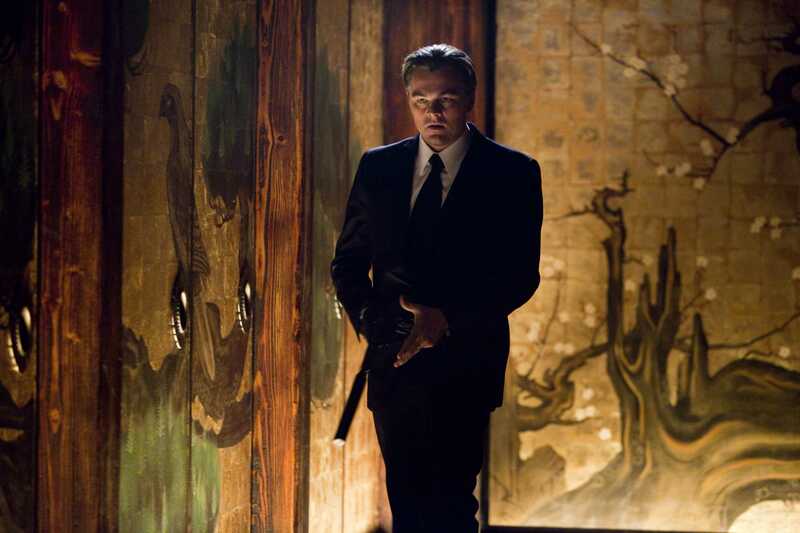 Best Original Screenplay: Christopher Nolan is running away with this one with nearly 75% of the vote for Inception, this could be the payoff for being unfairly overlooked in the director category. Best Animated Feature: Do I need to tell you? Toy Story 3 has over 70% of the vote. 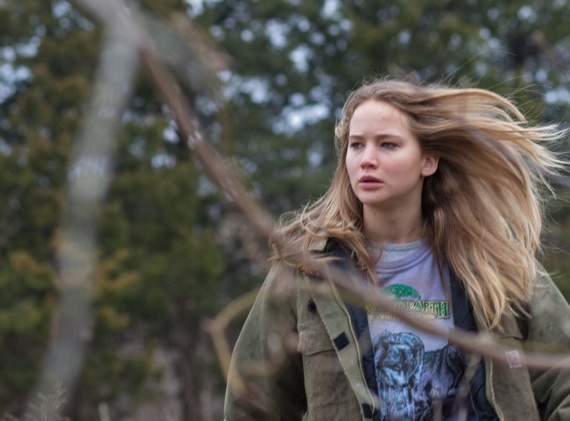 So what does all this mean for the Oscars? Absolutely nothing, the academy is a law unto itself and won’t be influenced by public opinion. As for where the awards will go, although I think inception is the best film of the year I don’t give it a hope in hell of winning, it just isn’t an Oscar friendly movie. In the other categories I think all the poll leaders have a reasonable chance of winning. And just as in the poll, supporting actress is probably the most open category. If you haven’t already why not cast your vote HERE. A few thoughts on last nights BAFTA awards. Before I get onto the winners, a few observations. The BAFTA’s are awards given by a national academy in their own right and often make better choices than the oscars, and yet IMDB reduce them to The Road to the Oscars along with other awards such as the starfuckers of The Hollywood Foreign Press Association responsible for the golden globes. There were a lot of winners missing from the ceremony, are the BAFTA’s losing their appeal or did they all think they would miss out to The King’s Speech. Finally why do they not show the awards live on the BBC? Winner: The King’s Speech: No real surprise here, it is what everyone was expecting and I am certainly not upset by it. A fantastic movie that deserves all the great press it is getting but is it the best film of the year? For me sadly not although I gave it five stars out of five when reviewing it, I gave the same to Black Swan and Inception. The Social Network narrowly missed out on the full five stars. True Grit only opened in the UK on Friday and I will be seeing it in the next few days, I really don’t know what loophole made it eligible. 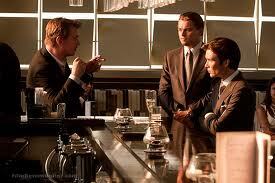 My choice for the Best Film wold have been Inception. 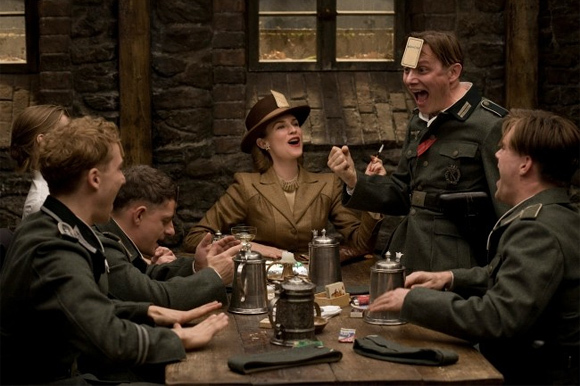 Winner: The King’s Speech: The other nominations were: 127 Hours, Another Year, Four Lions, Made in Dagenham. 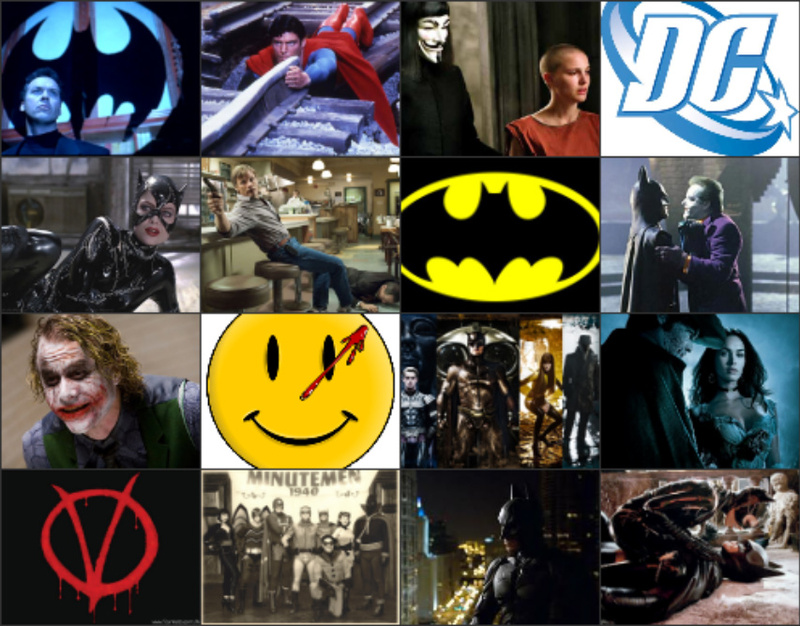 All great movies, I think they got it right though. Winner: Colin Firth for The King’s Speech: Definitely the right choice, Firth was outstanding but lets not forget it is a strong category. Although Biutiful was a little esoteric and incoherent but Javier Bardem’s performance was brillient and Firths greatest challenger. Jesse Eisenberg and James Franco both played real life people with questionable reputations, the actors made them both human and sympathetic. As mentioned above I Am yet to see True Grit but Jeff Bridges is always worth watching. Winner: Natalie Portman for Black Swan: I have made no secret my opinion on this one, I would have given the award to Jennifer Lawrence for Winter’s Bone who wasn’t nominated. Of the nominees Natalie Portman was the right choice. Noomi Rapace who was excellent in The Girl with the Dragon Tattoo is the real winner, although she didn’t pick up the award she has stepped onto the world stage and picked up some high profile roles. Both Annette Bening and Julianne Moore picked up nominations for The Kids Are All Right, both where great but not worth an award. I look forward to seeing how good Hailee Steinfeld is in True Grit. Winner: Geoffrey Rush for The King’s Speech: Rush was excellent but did he win on his own merits or was it just part of the groundswell and Zeitgeist that goes with The King’s Speech? 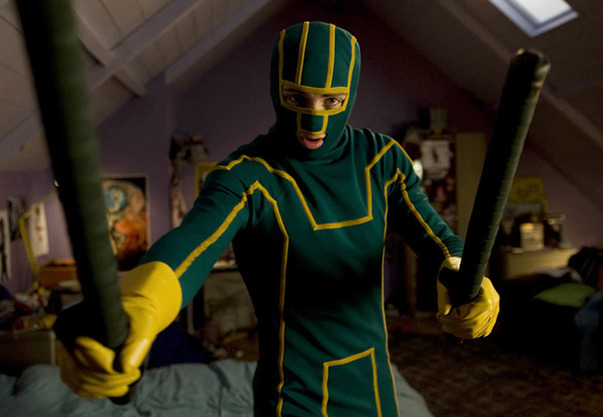 For my money Andrew Garfield should have won for The Social Network, not only was his the pest supporting performance of the year, but ti was also his only chance for a major award as he has been criminally overlooked by the Oscars. Again a strong category, Christian Bale, Mark Ruffalo and the late great Pete Postlethwaite could have all walk away with the award in other years. 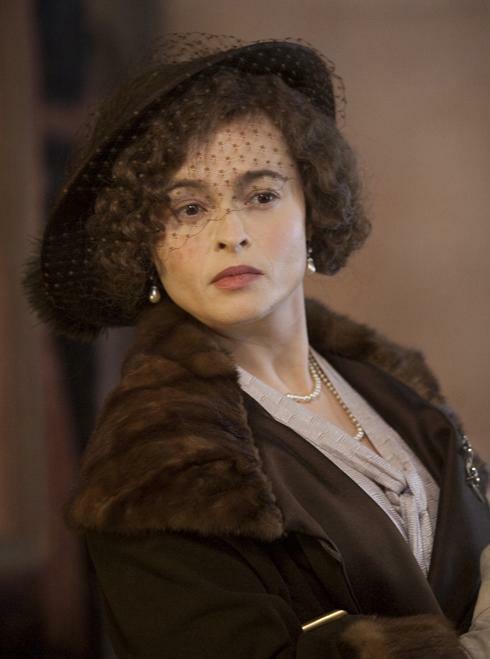 Winner: Helena Bonham Carter for The King’s Speech: How Lesley Manville didn’t win for Another Year, I will never know, at least she got a nomination, The Oscars didn’t recogniser her great performance. As strong as the supporting actor category, Amy Adams for The Fighter; Barbara Hershey for Black Swan and Miranda Richardson for Made in Dagenham could easily walked away with the award. 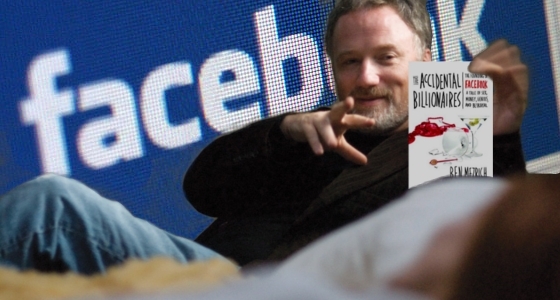 Winner: David Fincher for The Social Network: Although not the best movie of the year this was the right choice. Making such an entertaing and enthralling movie out of so little is a testament to the writing and the direction. To put it simply, it is the most directed movie of the shortlist. The other Nominees were: Darren Aronofsky for Black Swan; Danny Boyle for 127 Hours; Tom Hooper for The King’s Speech and Christopher Nolan for Inception. Winner: David Seidler for The King’s Speech: Had it been the most original screenplay Christopher Nolan would surely have won for Inception, as it was The Kings Speech was a good choice. The other nominees were: Mark Heyman, Andres Heinz, John J. McLaughlin for Black Swan; Scott Silver, Paul Tamasy, Eric Johnson for The Fighter and Lisa Cholodenko, Stuart Blumberg for The Kids Are All Right. Winner: Aaron Sorkin for The Social Network: There was only one choice for this one, everything I said about best director goes double for the screenplay. The other nominees where: Danny Boyle, Simon Beaufoy for 127 Hours; Rasmus Heisterberg, Nikolaj Arcel for The Girl with the Dragon Tattoo; Michael Arndt for Toy Story 3: Joel Coen, Ethan Coen for True Grit. Winner: Roger Deakins for True Grit: Having not see the movie yet I don’t know if it was the right choice, hopfully they didn’t take th lowest common denominator approach and given the award to the movie with the prettiest pictures. Of the other four (Anthony Dod Mantle, Enrique Chediak for 127 Hours; Matthew Libatique Black Swan; Wally Pfister for Inception and Danny Cohen for The King’s Speech), all of which I have seen, I would have gone for Black Swan, not only is the movie strangely beautiful but it is also amazingly lit and composed. 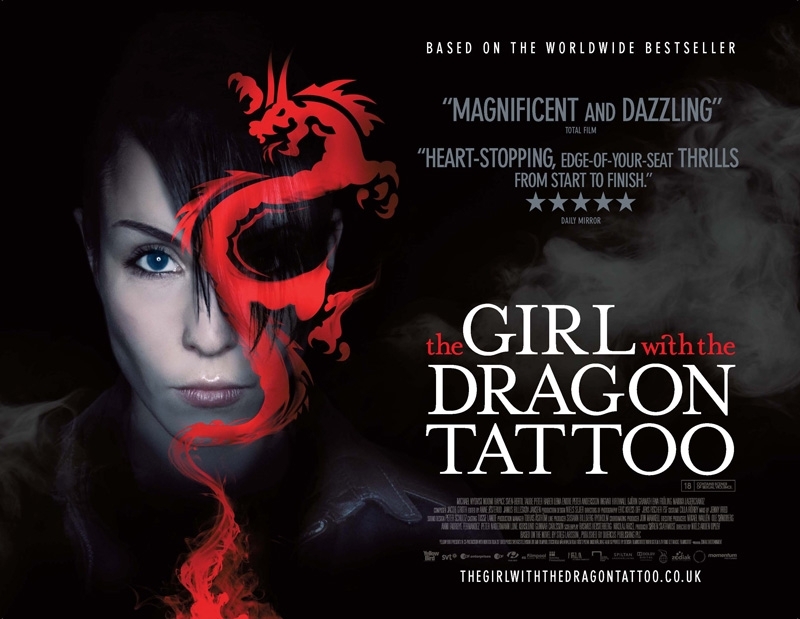 Winner: The Girl with the Dragon Tattoo: The Girl with the Dragon Tattoo is a great movie and it would have been a worthy winner if not for The Secret in Their Eyes, a phenomenal movie that picked up the equivelent Oscar last year. The other Nominees were: Biutiful; I Am Love; Of Gods and Men. 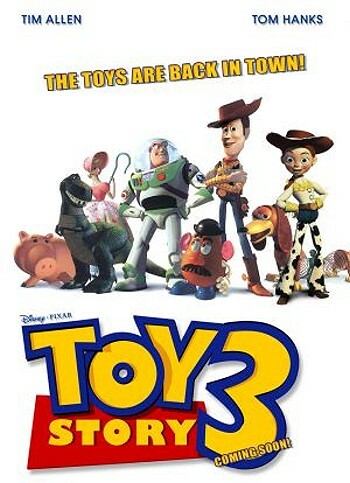 Winner: Toy Story 3: I can’t say much on this one as the winning movie was the only one I saw, the other nominees were: Despicable Me and How to Train Your Dragon. Winner: Four Lions: Christopher Morris(Director/Writer): My choice would have been Gareth Edwards(Director/Writer) for Monsters, a movie I consider good enough to have been nominated in the Best picture category. Unfortunately genre movies tend not to be considered award worthy! The other nominees were: Clio Barnard, Tracy O’Riordan(Director, Producer) for The Arbor; Banksy, Jaimie D’Cruz(Director, Producer) for Exit Through the Gift Shop; Nick Whitfield(Director/Writer) Skeletons. The cast is filled with TV stars and B movie actors and a pair of musicians, Dan Auerbach and Patrick Carney from The Black Keys. The trailer is accompanied by the bands song “Howlin’ for You“, and that if you haven’t realised is the whole idea of it. The trailer is actually a video for the song. How it got on the IMDB as a trailer, I don’t know but it was a stroke of genius. Looking like a real B movie trailer I wound love to see it made into a cheesy grindhouse movie like Machete It has got a lot interest and has received as many comments from people who think it is real as from those who are in on the joke. IMDB appears to be the only place to have the video so I can’t embed it here but you can get it by clicking This Link. Update: its now on youtube (until WMG delete it) so can embed it.